Senate Standing Committee on Communications was informed on Friday that Karachi’s stalled Lyari Expressway project would be completed by August and its inauguration would be done on August 14. National Highway Authority Chairman Shahid Ashraf Tarar told the meeting chaired by Senator Daud Achakzai that Sindh Chief Minister Murad Ali Shah has assured that Lyari Expressway issue would be resolved very soon. Senator Nighat Mirza had pointed out that in Karachi traffic congestion had become a serious issue and stressed for remedial measures. Senator Sajjad Toori said that due to unusual delay the cost of the project has escalated manifold. Tatar said that western route of CPEC would become functional by next year. About Hakla-DI Khan Motorway he said that it was divided into five sections and work on all sections was going smoothly. He told the committee that China was funding Thakot- Havelian highway and Multan – Sukkhar Motorway under the CPEC project. He said that work on all under construction projects of the National High Authority (NHA) is in full swing. Tarar further said that Khuzdar-Rattodero section would be opened for traffic by July. He said that Takht Bai flyover has been opened for traffic. 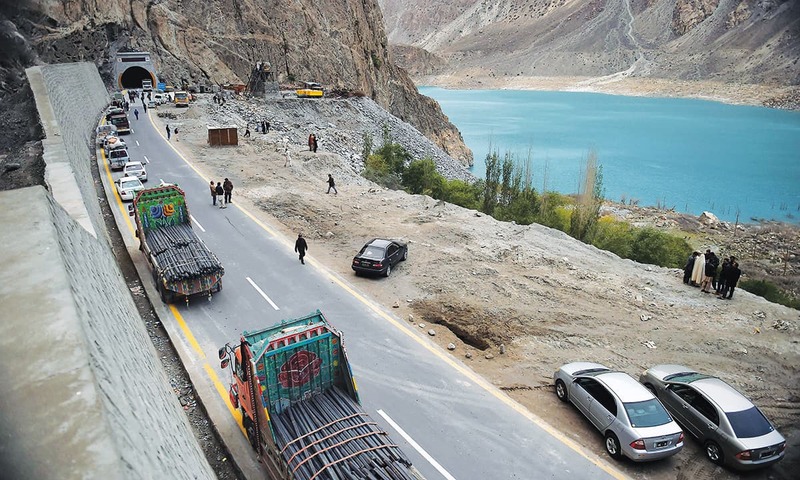 Chairman of the committee Daud Achakzai said that the committee was satisfied with the NHA performance but claimed that on the western route of CPEC work was continued only what he called common route. He suggested that rights of small provinces should be protected in CPEC project.